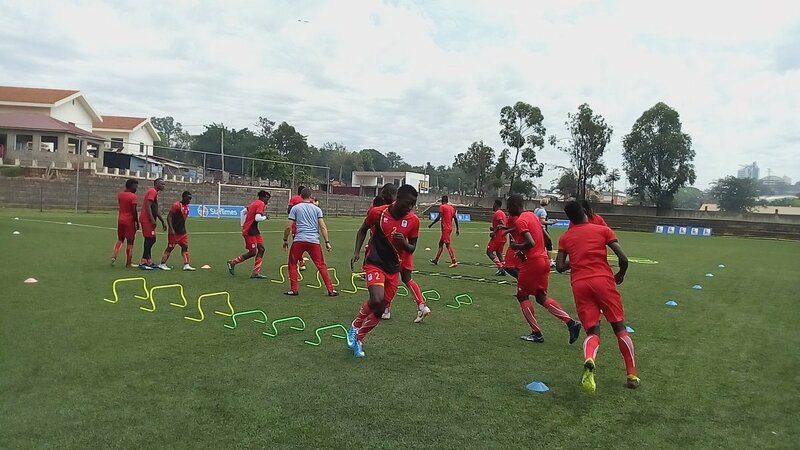 LUGOGO – The Uganda Cranes conducted their first training session at the StarTimes Stadium in Lugogo ahead of their AFCON qualifier game Cape Verde on Friday morning. The session was attended by a group of 18 players, 14 locally based and 4 foreign. The foreign included Hassan Wasswa, Emmanuel Okwi, Murushid Jjuuko and Nicholas Wadada. Meanwhile the session involved ball work, body stretching drills under head coach Sebastian Desabre, his assistant Mathias Lule and and trainer Gerome D’Antonio. After the session, assistant Captain Hassan Wasswa who joined the camp early explained why he was an early bird. “I came in early for national team because we had a game against Al Ahly but there playing CAF and so the game was postponed, said Waswa. He also added that Cape Verde is a strong team but they are determined to go back to AFCON and also get the three points from Cape Verde. “We are yearning to return to the AFCON next year, continued the dreadlocked versatile player. “Every player has that focus and we are all determined. Earlier before, the Kobs (U23 side) also conducted a session in the early morning light showers as they prepare to face off with Sudan on Wednesday,14th November in the CAF U23 AFCON qualifiers. Forward: Patrick Kaddu (KCCA FC, Uganda), Viane Sekajugo (Onduparaka FC, Uganda), Dan Sserunkuma (Vipers SC, Uganda).